Windsurfing was recognized as an Olympic sport in 1984. 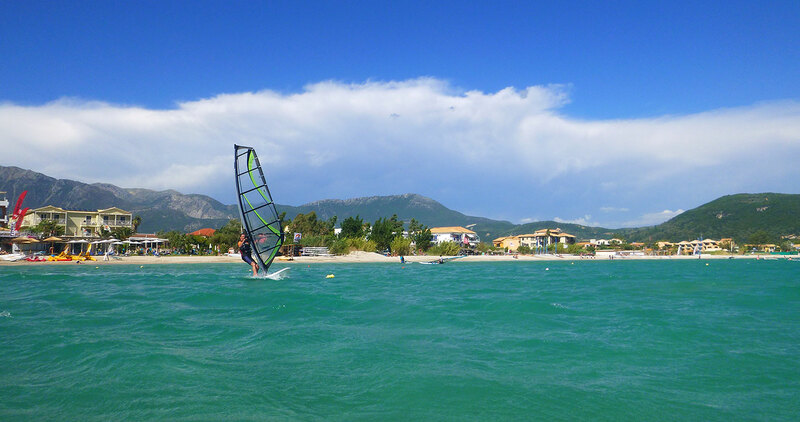 Windsurfing will remain in the Olympic programme after the International Sailing Federation reversed a decision to replace it with kiteboarding. 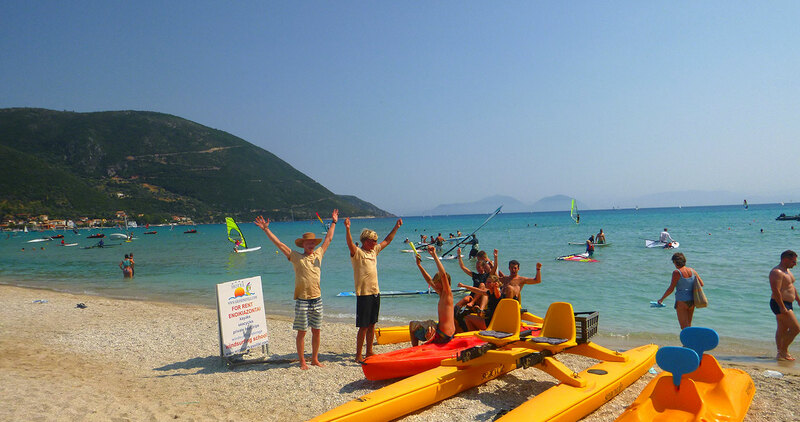 Windsurfing Club Grand Nefeli is situated on the west sandy beach side of Vassiliki bay. 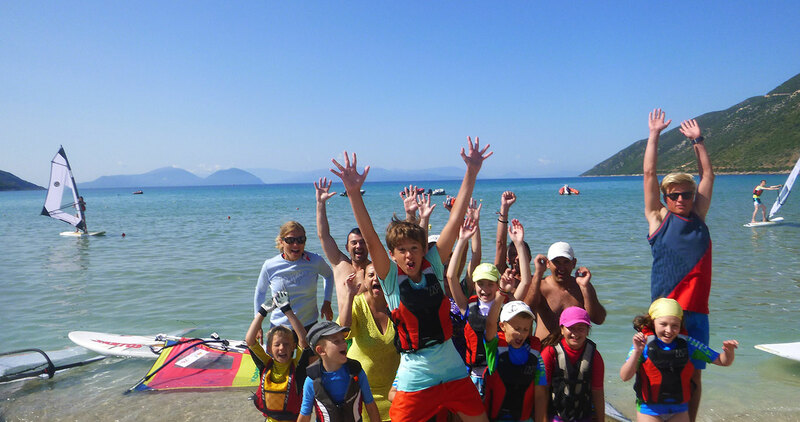 A family run the windsurfing club. It is renowned for its warm hospitality with staff always happy to help. 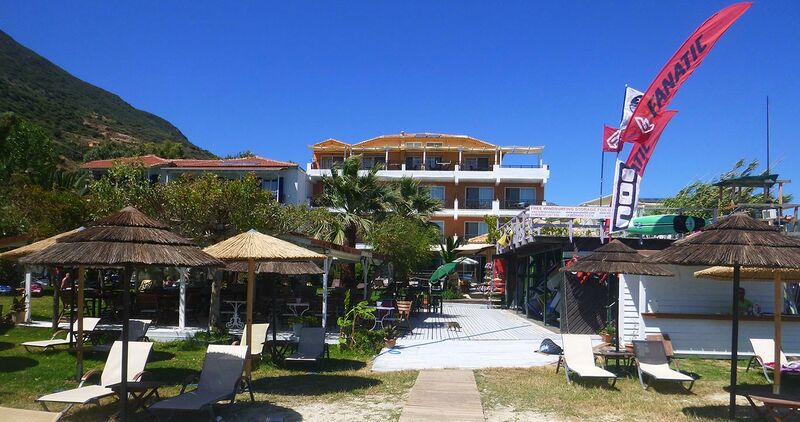 Set with stunning mountain views to the north, amongst palm trees, and with views out over Vassiliki bay, this is probably the best place to stay in Vassiliki. Our windsurfing instuctors are Royal Yachting Accosiation (R.Y.A) qualified level 1 to level 5 individuals or groups are more than welcome. Our guests come from all over the world with many returning every year. 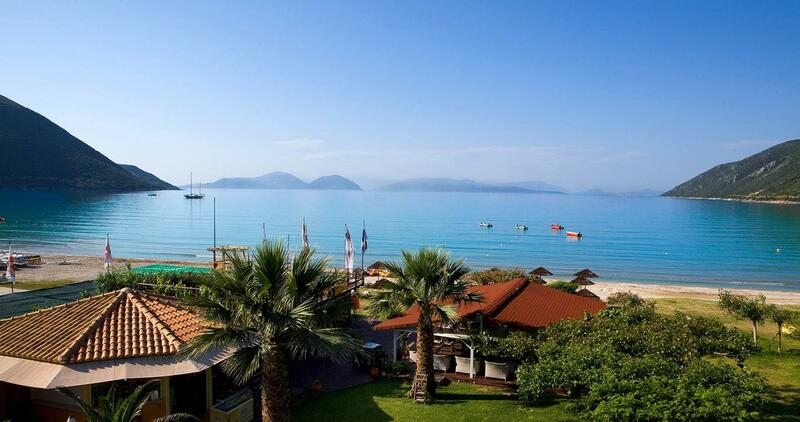 Wind Club & Grand Nefeli Hotel and staff provides you with all you could want from your holiday in Greece. 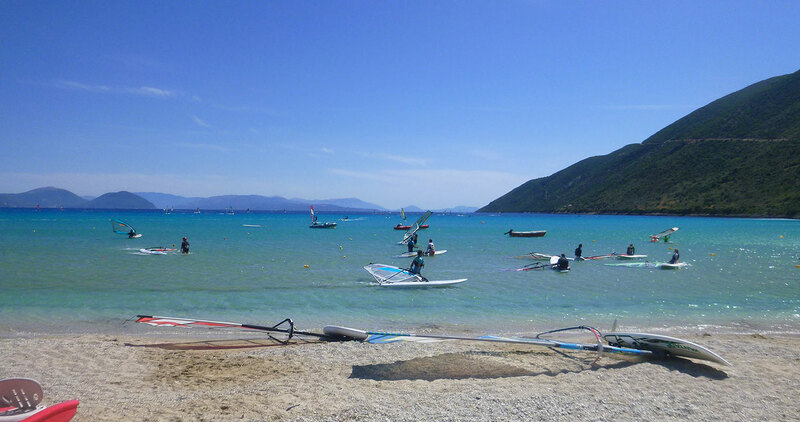 The Windsurfing Club is open from the end of April to October so suited to all kind of visitors, families or individuals, windsurfers or not. 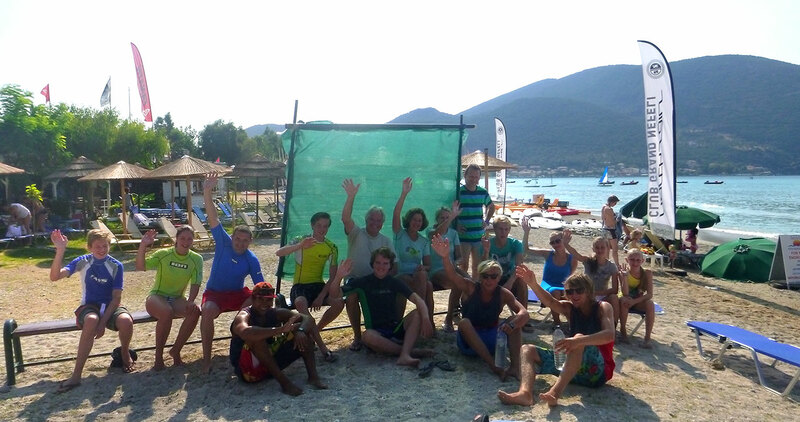 We are the longest established windsurfing club in Vassiliki. 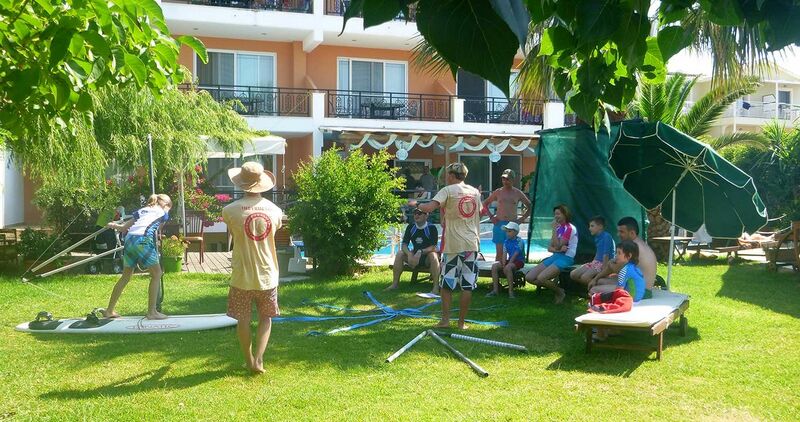 The windsurfing school club grand nefeli participates actively with a large group of windsurfers in the slalom-windsurfing competitions at the annual VWF (Vassiliki Watersports Festival ) and our participants are within the first ten ranking!